Over the years I’ve had numerous people ask me if I was ever going to sculpt a golf trophy. Not a trophy that would be specifically designed for fantasy golf, but rather a trophy that could represent their office league or be given as a gift to a lifelong golf fanatic. 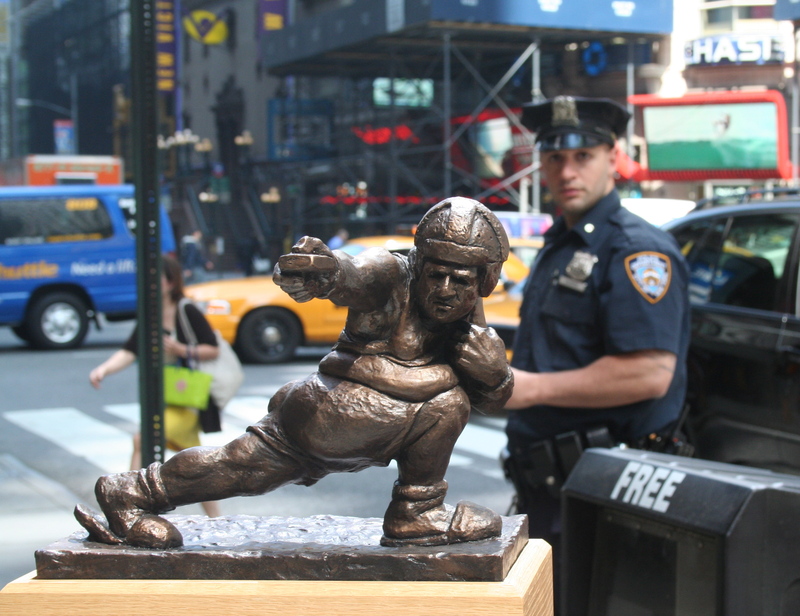 A trophy that would truly embody the physical demands riding around in a golf cart while drinking a six pack can put on the body. Well, that time has come. 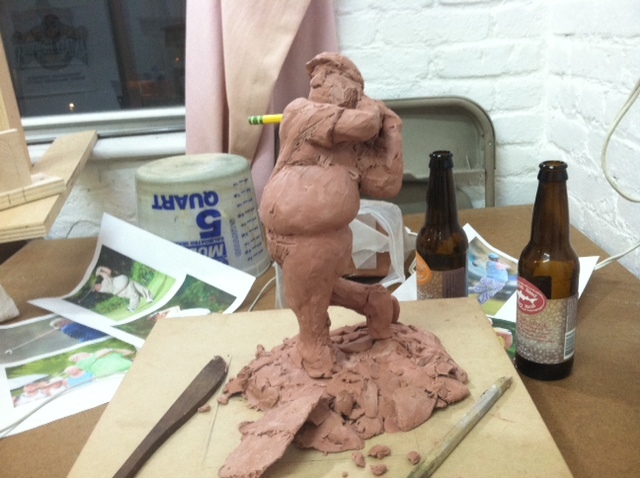 Yesterday I started sculpting a golf trophy that all hackers can be proud of. 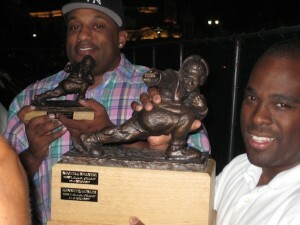 As you can see, he’ll still have that same “athletic build” you’ve come to expect from all of my trophies. The only difference is he won’t have his classic man slippers on his feet. Keep checking in- I hope to have it completed in a few weeks. 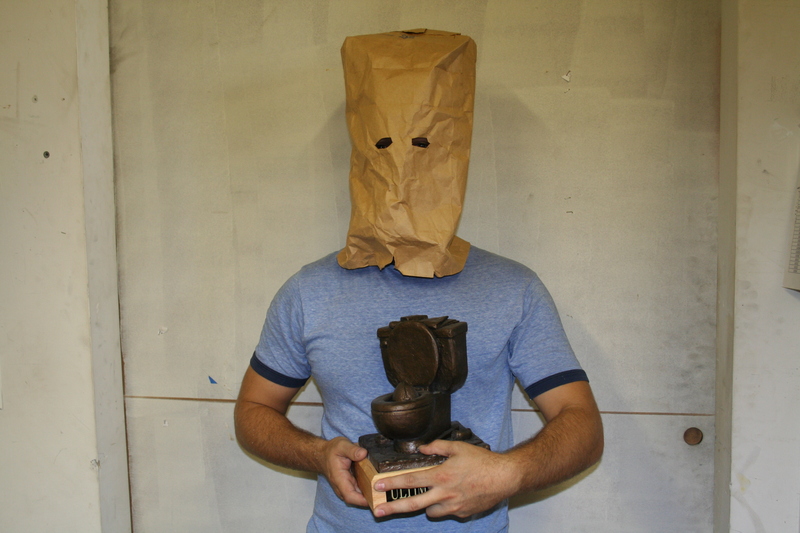 You don't want your name on your fantasy football leagues loser trophy. This season I unfortunately understand what it feels like to be in the running for my fantasy football league’s loser trophy. And take it from me- it’s not something you want to experience. Ours is called “The Loudini” and it’s the first time I can remember that I may actually end up on it. To make matters worse, I won my league last year and could be the first owner in our league’s history to go from first to worst. Not good. 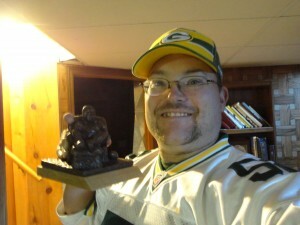 However, I also realize now first hand that a loser trophy changes the dynamic of your league forever. No guy wants his name on that piece of hardware for all eternity and each owner will do whatever it takes to make sure it doesn’t happen. I guarantee that everyone in your league will fight to the bitter end even if teams have been stuck in the cellar all season. I know I have. So as this regular season comes to an end and I desperately scratch and claw for the last playoff spot in my league, I also pray to the fantasy gods that I will not end up on “The Loudini”. I don’t think my pride could handle it. 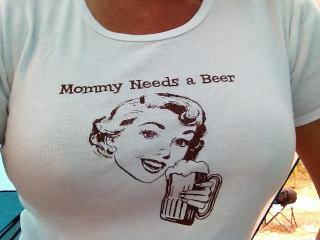 This T-shirt says it all…and then some. Happy Mother’s Day to all the Moms out there. 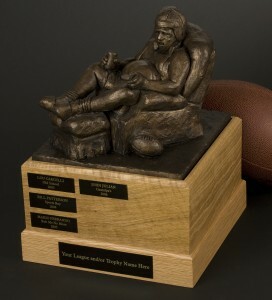 A Fantasy Football Trophy Worth Ordering…Early! This post is simply to put a little fire under the asses of all the league commissioners out there who take procrastinating to a whole new level. You know who you are. Guys who have ordered from me in the past know that I do my very best to make that happen. After all, having your trophy on draft night is what it’s all about. 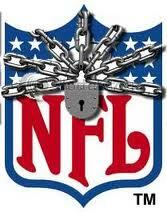 However, I have a feeling that some leagues have been putting off ordering their trophy because they wanted to see when the NFL lockout was going to end. Well, it’s OVER! Football is coming and so are the early orders. Here’s to hoping you’re one of them.